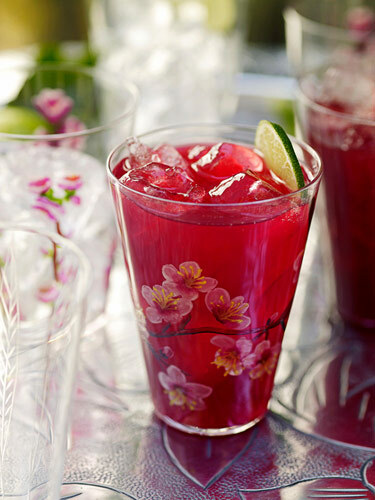 Another refreshing idea from Giada De Laurentiis. In a medium saucepan, combine water, hibiscus flowers, and sugar over medium-high heat. Bring to a boil, stir occasionally, until sugar has dissolved. Let cool 25 minutes, then add lemon juice, lime juice, and vodka. Place ice in a tall pitcher. Strain tea into pitcher and discard flowers. Refrigerate before serving. Recipes: Going Coo Coo for Coconuts!